The Big 12 men’s basketball tournament is one of the biggest events prior to the start of “March Madness.” Since the late 1990s, some of the top teams in the nation have been battling it out for the conference crown and an automatic berth in the NCAA tournament. 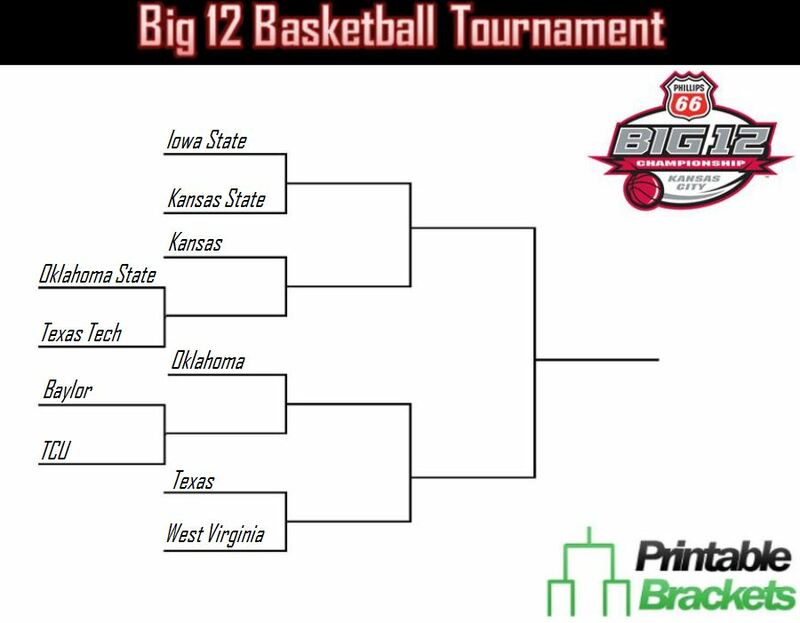 School students and fans can easily track all the action with a Big 12 tournament bracket. The sheet can also be used to create a pool with your friends, family or co-workers. The first Big 12 men’s basketball tournament was held in 1997 in Kansas City, Missouri. That year, top-seeded Kansas rolled through the Big 12 tournament bracket and crushed Missouri in the first title game. The Jayhawks went on to win the first three Big 12 tournaments. Kansas has dominated the single-elimination event, going 9-and-1 in championship games and 30-and-7 in Big 12 tournament bracket games overall. All the other teams in the conference have combined to win only eight title games. The Oklahoma Sooners are second to the Jayhawks in title game victories with three. The Missouri Tigers, who won the tournament in 2012, and the Oklahoma State Cowboys have two championship game victories apiece. While the Texas Longhorns have a decent overall record in Big 12 tournament bracket games, they are 0-and-6 all-time in championship games. The Big 12 tournament isn’t just reserved for men, as women have also participated in the single-elimination event every year since 1997. Colorado, which is no longer a member of the conference, won the inaugural event in Kansas City.